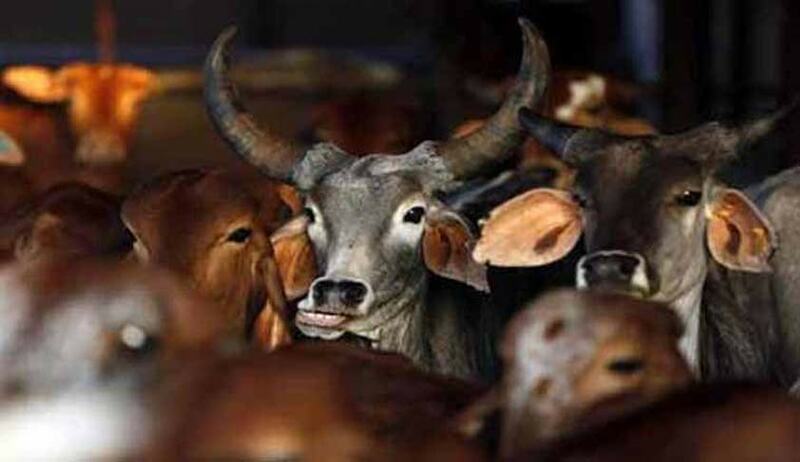 The Punjab and Haryana High Court, has modified the sentence awarded to persons convicted of cow slaughter, to period already undergone in custody, subject to payment of Rs. 9000 to a Gaushala. Justice Hari pal Verma passed this orders in a revision petition filed by five persons accused of Cow slaughtering. Mohd. Aslam, Mohd. Akhlak, Gulzar, Mohd. Arshad, Mohd. Gulfan and Mohd. Istakar were convicted by the Trial Court for commission of offence punishable under Section 4-B/8 of the Punjab Prohibition of Cow Slaughter Act, 1955 Act and were sentenced to undergo simple imprisonment for six months and to pay a fine of Rs.1,000/- each and in default thereof, to further undergo simple imprisonment for 15 days each. These findings were upheld by the Appellate Court. They filed revision before the High Court. Upholding the conviction, the Court observed “In these circumstances, it is directed that the sentence awarded to the petitioners shall be reduced to the period already undergone by them subject to their payment of cost of Rs.9,000/- each to be deposited at Govind Gaushala, G.T. Road, Panipat. However, the sentence of fine imposed by the trial Court and affirmed by the appellate Court shall remain intact”.